The Spring issue of Drawing magazine is out and I received my two complimentary issues via FedEx a few minutes ago. 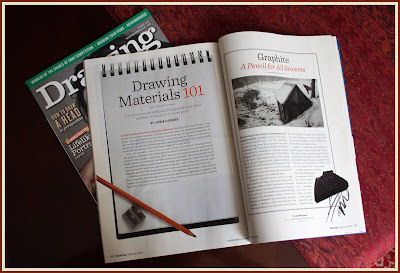 In the article by Lauren Kirchner, 'Drawing Materials 101', they were kind enough to use one of my images on the 'Graphite' page. Get your copy on the news stand! The 34th annual spring exhibition/sale, Modern Marine Masters, at the Maritime Art Gallery at Mystic Seaport on the Connecticut coast has been posted on the gallery's web site. Even though the show officially does not open till April 21, you certainly can look through a marvelous collection of marine themed works, including two of my recently completed smaller scale works. 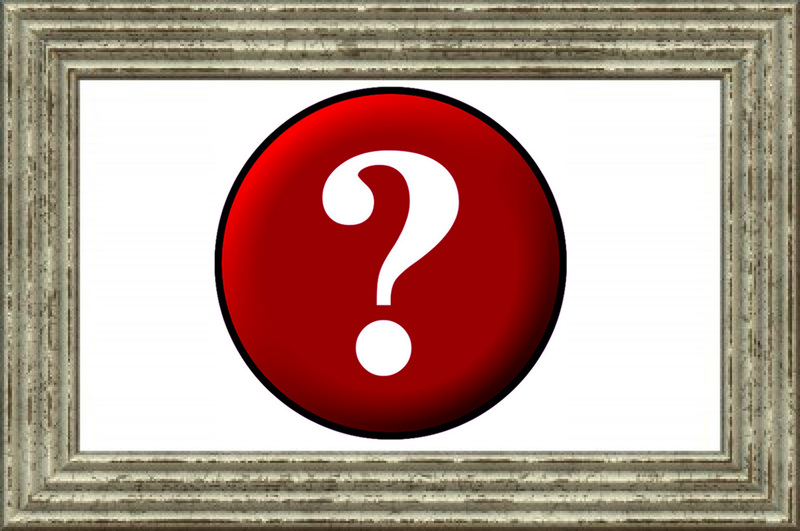 If you see something you feel you just can't live without, I am sure the gallery will be most pleased to take your information and earmark a work or two for you to add to your collection. The show will hang, as noted, through early June. I'm going to be a bit of a tease today - offering this little glimpse of some of the works that will make up my mini retrospective this fall at the Woodson Art Museum with the installation of my Master's exhibition during the hanging of this year's edition of Birds in Art. You'll just have to plan a visit to Wausau in September or October or November to see all of them! Facebook can get to be a bit much sometimes, other times it can be the home of disturbing posts. Case in point, a posting this morning regarding the ongoing 'war' against elephants in Africa which I have mentioned recently. This time, just painful reading . . . In a posting from the East African Wildlife Society noted this morning, speaking about the current brutality inflicted upon those magnificent and long lived creatures, they note that an estimated 70 to 100 elephants a day are being gunned down for the massive Asian ivory trade. 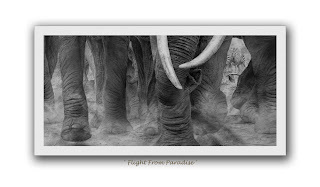 It disgusts me to read such and I just have to share this information in the hope that someone else who reads this post will feel as sympathetic to the cause of survival of the African elephant and might be moved to offer help in whatever way possible before, as is noted in the Facebook entry, the species could become extinct in as little as three decades. In 2012 alone, more African elephants were killed than in any year since the ivory trade was banned in 1989. To kill the elephants, poachers will execute well planned, military style operations using helicopters to extend their range and herd groups of elephants into the line of fire, according to the Society's posting. The illegal ivory trade is global in scope, lucrative to funding ongoing gang and militia groups to further their bloody endeavors and it has doubled in just the last five years as the world has stood by and done little to protect the lives of these animals. The posting goes on to say that 'never has the cost of Asian trinkets been so high'. Please visit the Society's page and read more about their efforts and make up your own mind. Is an ivory tusk better suited to helping an elephant dig up a salt lick or to be cut and carved and sold as a table trinket? 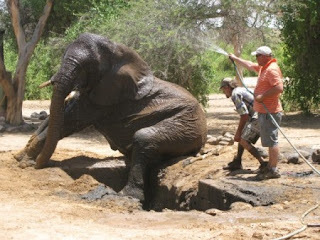 Discovered on Facebook this morning, here is a wonderful story from Africa Geographic magazine's blog page about an elephant rescue that took place back in February. What a heartwarming effort and imagine the implied bond that may have occurred between animal and human during the entire effort. This is the sort of connection between elephant and human that makes more sense to me than lopping off its tusks so that someone can carve them up. I am very much at work on the first of the last two new pieces being done for my fall retrospective during the opening of this year's Birds in Art exhibition and being honored as this year's Master Wildlife Artist. I've posted several of the other pieces that will be shipped out later this summer over the last few weeks but I have decided that these last two works are going to remain incognito for the next six months till the opening in September. One must have surprise in life to keep things . . . well, surprising! 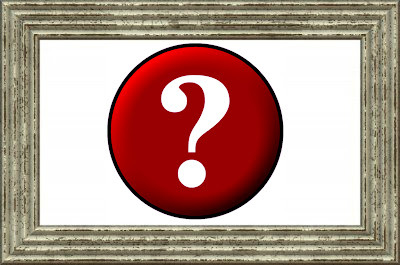 So, if you will wish to see these last two works, and they are going to be humdingers!, you will have to plan a trip to Wausau in early September to be . . . surprised. Once these are done, framed and stored away for the next few months, I shall return to posting new pieces as they come off the board. In the meantime, I might post something else of interest so check back here over the next few weeks and be . . . surprised! 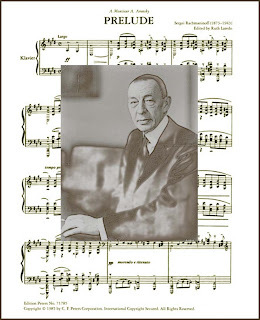 April 1, 1873, 140 years (plus one day) ago, Sergei Rachmaninoff was born. In all the rush to get works off the drawing board in recent days, yesterday came and went without acknowledging my love of his music. No April Fool, he, his music (wait, wait for the old cliche!) speaks volumes to me. As I've noted many times over the last few years, music constantly plays while I am at work; sometimes as simple background, focus-less in its soothing quality . . . other times quite the muse. 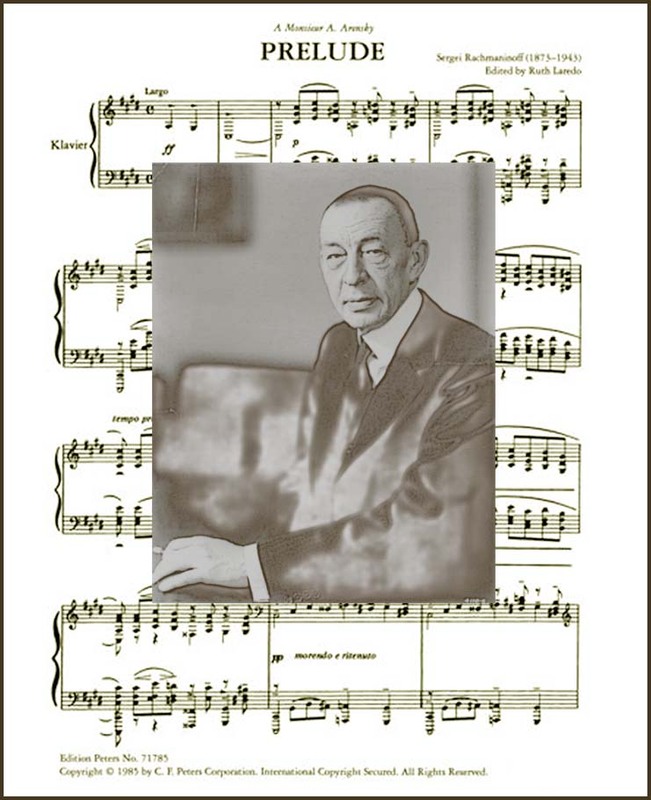 I've always found Rachmaninoff's compositions to fill ever changing needs during studio time. His solo piano works, especially the etudes, always seem to egg on the creative juices as I run pencil marks across Bristol board. I am ever engrossed in the Concertos, especially the fourth which somehow seems to be a sad sister in rarely being heard on the radio or in concert and one of my favorite 'go to' works for more than simple listening pleasure (always a nice pairing for an afternoon of piano music with any of Prokofiev's Concertos). Almost trite in its astounding number of recordings, the Paganini Rhapsody (who can resist the sublime 18th variation?) never fails to inspire even after listening to any number of fine artist's interpretations of it (my current favorite being that of Lang Lang). The Second Symphony, admittedly lush and almost cinematic in scope, finds constant play list appeal for me as does the Sonata for Cello and Piano (Op 19) (I tend to line the Sonata up with any Chamber work by Ravel). 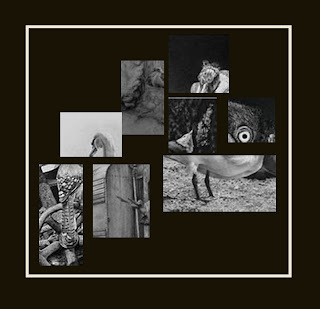 Both The Isle of the Dead and The Rock offer very evocative sound pictures that lend themselves to very moody drawing board subjects, don't get played that often, but always await that perfectly appropriate time to work their magic. Happy Belated Birthday, Sergei. I think I will have to program an afternoon of his piano compositions today as I begin the next to last work for the Woodson 'thing'! Final touches early this morning then outside for photography and now ready to be set aside as the next work for the drawing board is waiting in the wings. I have barely four weeks of work time to do the remaining two new works for September. Time to hop to it. Oh, this one is 12" x 25".